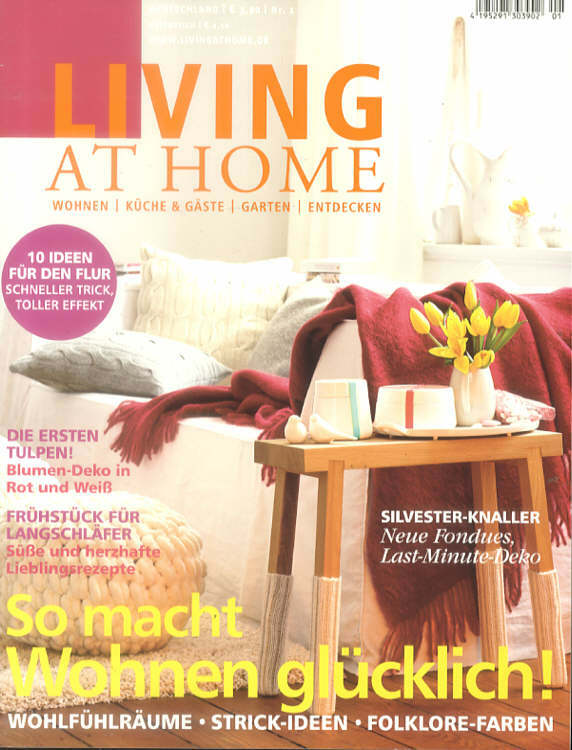 The stool SCHEMEL is the Ccover page image of the interior magazine LIVING AT HOME! SCHEMEL with socks, which is manufactured and distributed by the german company side by side, is on the cover page of the January issue of the interior magazine LIVING AT HOME. The designer of the studio taschide are pleased and feel very honored.